Yesterday my world was rocked with the news of Chris Moore’s death. 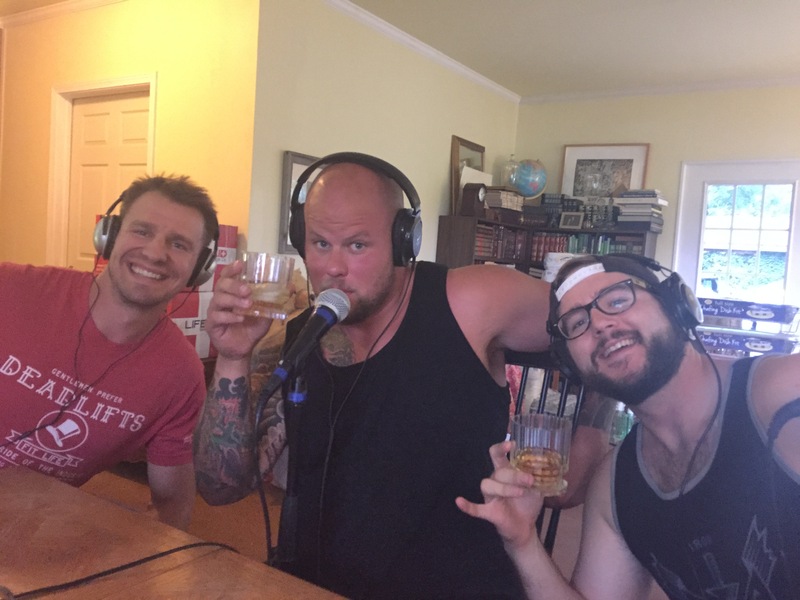 Most of you know that I share a unique friendship with the entire Barbell Shrugged family. They are without a doubt extended family, and I love each of them very much. Normally I write each day to provide all of you with content that might enrich your lives in one way or the other. Today I am writing because I need to put down in words what my heart is feeling. I don’t know if this will enrich your lives or not, but it’s what I need to do right now. Chris Moore was my friend. We were both powerlifters in our earlier lives. As a matter of fact he talked about watching me compete in the WPO when I was in my prime. However, powerlifting wasn’t really what we talked about very much. We talked about life mostly. I loved our talks and reflection on life. We were very similar in our views. We both cherished our families, and longed to spend more and more time with them. We both wanted to help other people in significant ways, besides that we wanted to enjoy the world around us and the people around us. That’s about it. Last Labor Day, the Barbell Shrugged Crew came to my farm in North Carolina for my Mash Strength Spectacular. We had the best time just hanging out and talking. Chris and I had some of the best talks during that weekend. He loved the simplicity and beauty of the farm. I told him that my goal was to help as many people as possible, while spending more and more time with my family. We shared the same dream. Chris made everyone around him better. He was an amazing counselor. He listened with complete attention while contemplating each word that flowed from my mouth. He encouraged me to turn lose of the things that created stress. He also encouraged me to run with the passions of my heart. He could take my words, and magically paint a colorful picture of what my life should look like. He was amazing at giving people clarity of purpose. We were planning on spending a month together in the fall. He was going to come hang out with me on the farm and at my gym. We were going to open a weekend up for people to hang out with us. It wasn’t going to be a mastermind. It was going to be more like giving people a path based on their passions. We were going to take them to Asheville. We were going to hike, look at the leaves, and do life together. We were going to have campfire sessions, where we were going to simply talk to these people about their lives. I was so excited to hang out with Chris, and help out with the lives of these other people. It all sounded so beautiful. I suppose that I will hike alone this fall, but my friend Chris will right there with me in my heart. 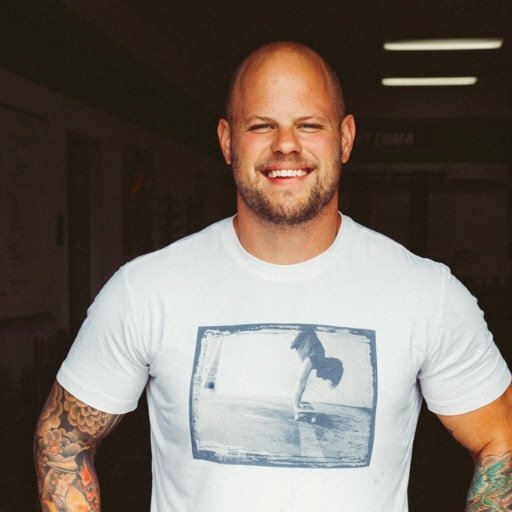 The entire Barbell Shrugged Team has helped to change my life for the better. They taught this old man all about the Internet. They made it clear that many more people can be reached and helped via the Internet. I am not sure why they have all invested so heavily in me, but they have all helped to change my life for the better. Because of them I am able to help thousands if not millions of people from around the globe, while spending more time than ever with my family. I don’t know if they really know how much that they have impacted my life. They helped me discover the deep passions of my heart, and now I am able to spend my entire day on those passions all because they took the time to help this old man. Mike encouraged me to think bigger, which I needed. Chris encouraged me to think deeper, which I needed. Here’s the thing that I have learned from the life of Chris Moore. We can all try and change the world on whatever scale that we want. However, it’s each and every relationship that allows us to do so. If you spend your life trying to better the world while ignoring each and every relationship, you will spend your life spinning your wheels. That’s fact in my book. Chris Moore has impacted the entire world because he loved people. He encouraged me to write, so now I write all the time. He encouraged me embrace my love of family, friends, and my athletes, and now I have. My life is altered because of him. If you alter one life during your journey on this earth, you have forever altered the world. He altered many during his journey. I want you to look around at the people in your own life. I suggest that you start with all of them. How can we make the lives of the people in our circle just a little better? It’s not the person that talks in front of millions that alters the world. It’s the person that invests in the one that alters the world. Chris was able to inspire millions via his podcasts, books, and blogs, but he was able to alter that paths of the ones that he met and shared his heart. I have talked to a bunch of people in the last day that said they met him, and they all shared the same story of how Chris took that time to listen to them and share his thoughts. That’s Chris Moore. He was going to impact each person that he came into contact with, and we should all strive to do the same. Yes, I am greatly saddened. Yesterday as a 43-year-old man, I broke down like a little schoolboy and cried in the lap of my amazing wife. We should all mourn the loss of this amazing man, but more importantly we should all learn from his example. We can all write books, do podcasts with millions of listeners, and spread our messages throughout the world, but let’s not forget the person right in front of us. Chris’s life was like a beautiful piece of poetry. May that poetry live on in the lives of us all. Chris, I love you Brother. You will be missed by friend.